Knight Goby Tropical Fish Learn all about the Knight Goby's feeding habits and food types, its behaviour, its origins, its natural habitats, is it male or female, breeding advice and information, suitable tank mates, its sizing and growth range, minimum tank size, water PH and more. Use our fish community creator tool to plan your tank set up and ensure that the Knight Goby is the right fish for your aquarium. Whilst this fish’s body is a fairly dull pale grey colour, it has a body speckled with black dots and being a goby, has a unique movement and differing finnage to the usual tropical fare. Although often sold as a brackish fish, Knight Gobies are usually found in freshwater habitats and can be kept in either freshwater or mildly brackish conditions. These fish can be aggressive, particularly towards their own species so they are best kept singly, or given plenty of space for each individual. Tank mates should also be of a similar size and robust nature, particularly those that inhabit the same lower region of the aquarium. Other fish that are small enough to eat will be considered food. Having said this, overly boisterous or aggressive species should also be avoided since the Knight Goby is a generally timid and shy fish. Knight Gobies are sand sifters, and will dig amongst the substrate so a sandy bottom or fine grade substrate is preferable. Places to hide (caves, bogwood, plants) are essential since the fish can be sensitive to bright lighting. Provide good water conditions and filtration to maintain health. Whilst not a fish suited for beginners, the Knight Goby has plenty of character and is an excellent fish for more advanced fish keepers. If you have a question about keeping Knight Goby's then please use our Knight Goby help forum. Join 100's of other fish enthusiasts with 1000's of years experience between them caring for and keeping fish like these. You are in the thinkfish community creator for the Knight Goby fish species, you can learn all about how the tool works in assessing fish tank mate compatibility at the link provided or use the tool tips provided to guide you. 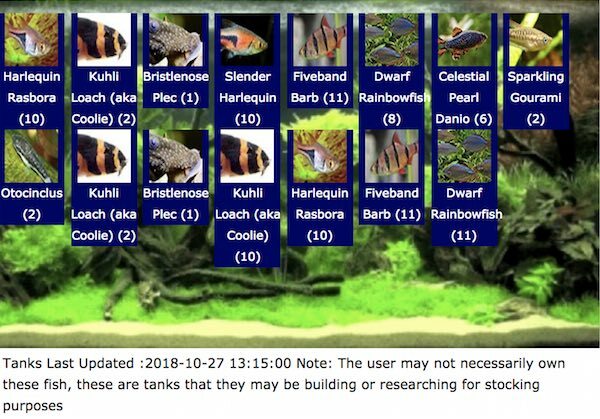 Create a test fish community that includes the Knight Goby species and any other types of fish or crustacean you'd like to introduce - You can assess the best companions, tank size suitability, stocking levels based on filter type and volume and possible negative interactions and warnings as you build up your aquarium. Please do check your water type for compatibility with your fish, which can be found on the Knight Goby information box above and your local water company providers website. Don't waste your money and endanger your fish! If you'd like to talk about the "Knight Goby" with our users, then we have a buzzing community of fish enthusiasts where you can talk about tank issues, Knight Goby fish behaviour, Knight Goby tank stocking and any other issues related to the Knight Goby fish or other types you may have.